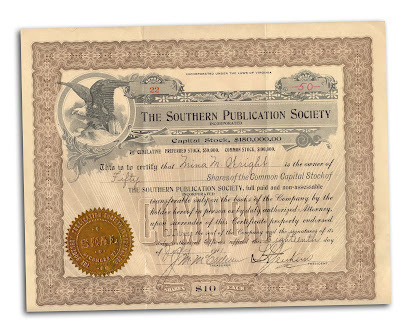 Certificate for 50 shares of The Southern Publication Corporation, issued July 18, 1911. Found in "Six Centuries of Work and Wages: The History of British Labour" by James E. Thorold Rogers. 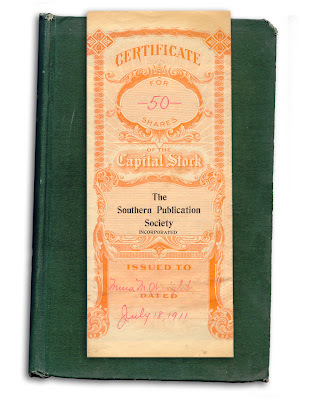 Published by Putnam, 1884. 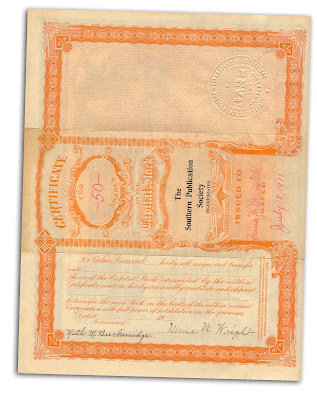 Did you try to convert this stock to Time Warner, who now owns the company? Nope, I sent it to one of our readers.